You may be at a loss when you start managing your household. Of course, your parents can give you valuable advice and share their life experience. However, very often your parents' experience just does not work in the present context. Life moves forward and each year we get new technology that can be applied in the household. New ideas, new approaches, new devices... all of that cannot be transferred 'from father to son'. 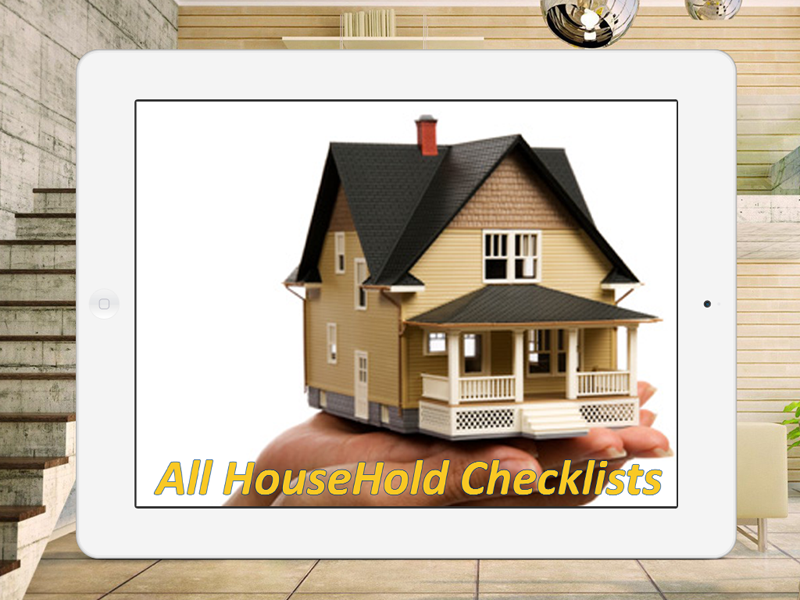 Here is where All Household Checklists App can help.All Household Checklists App is an interactive library that helps you not to get lost in the household sea, because it lets you be ready to solve any household task at minimum expense and maximum quality.